Hello. 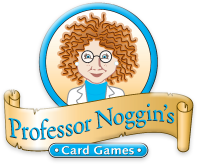 I'm a grade 4/5 teacher in Ontario and I love the Professor Noggin games. I have many of the English and French versions in my classroom. Thanks for the great games. We do enjoy them.